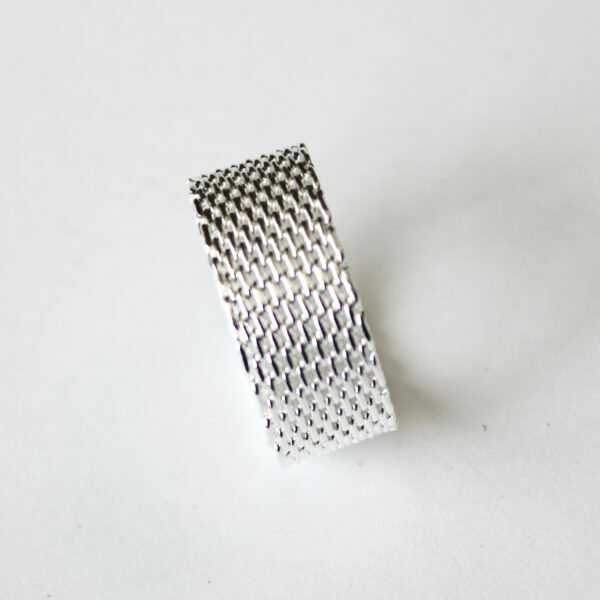 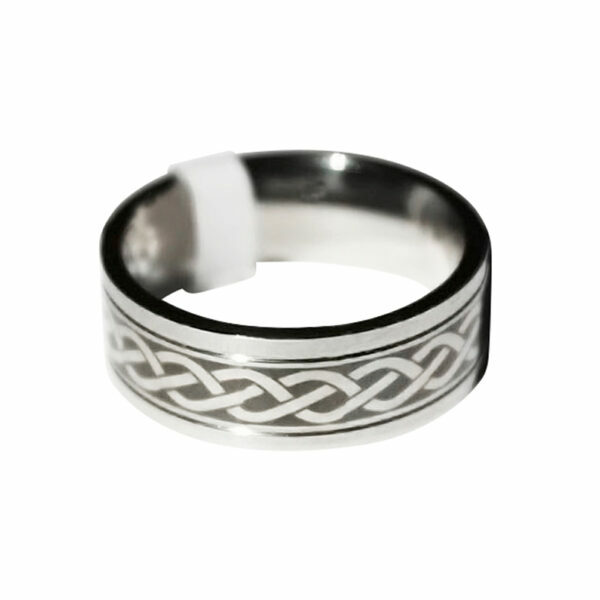 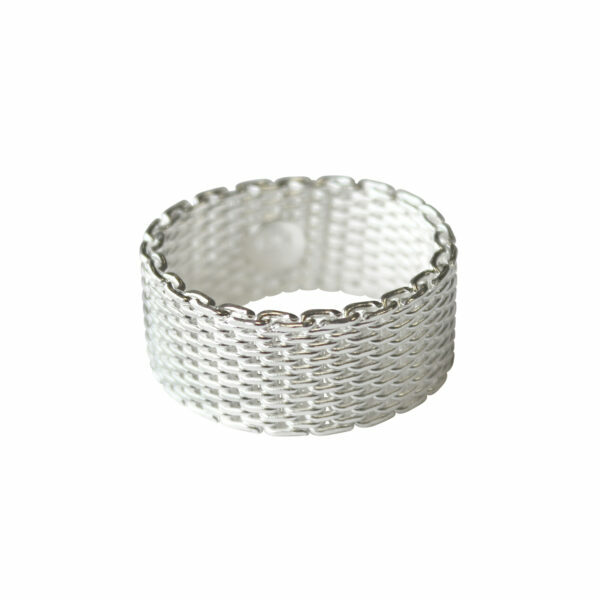 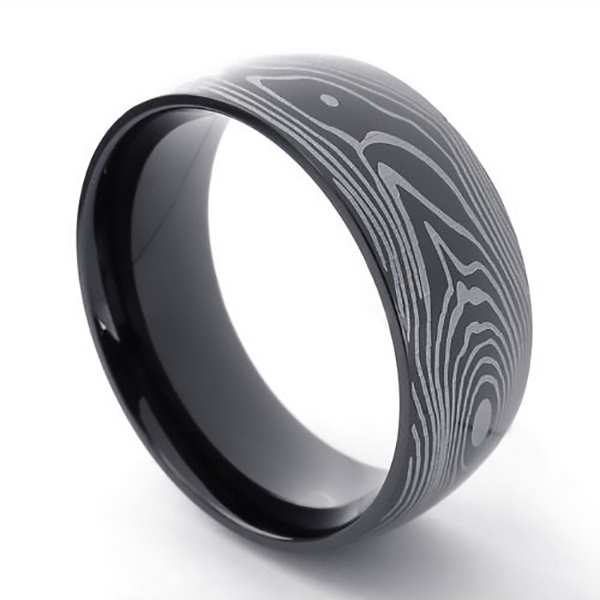 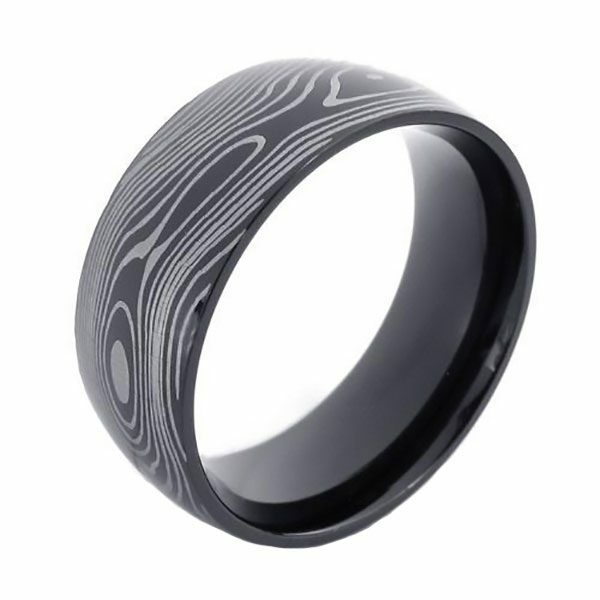 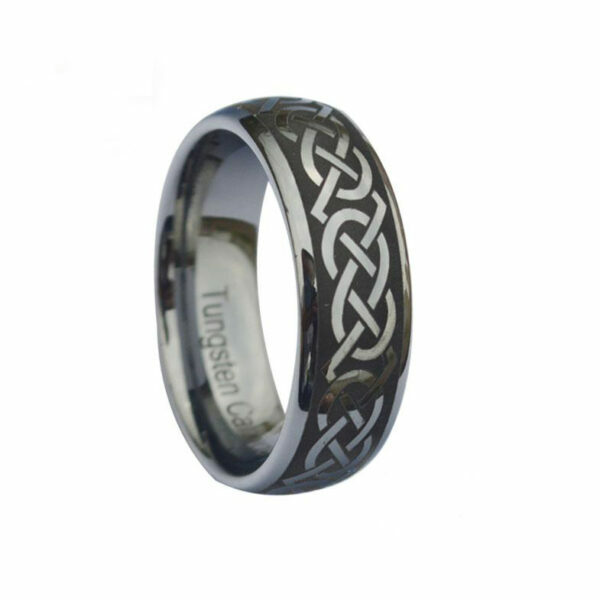 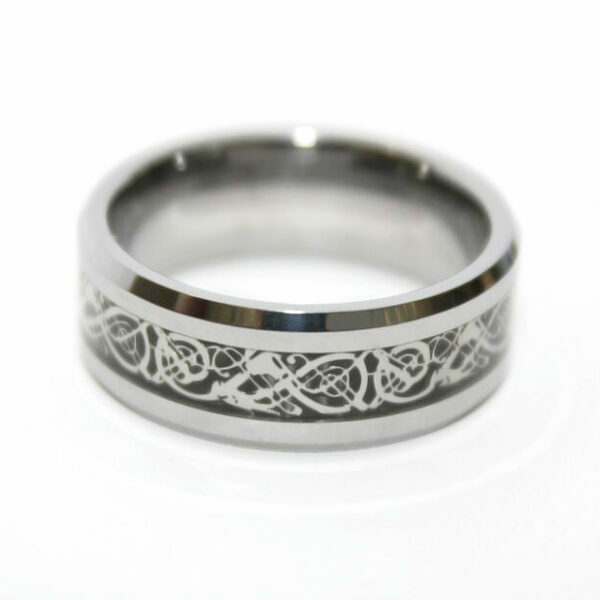 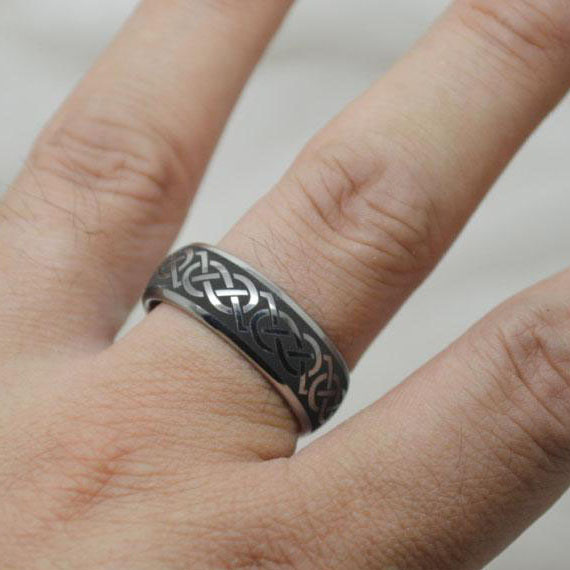 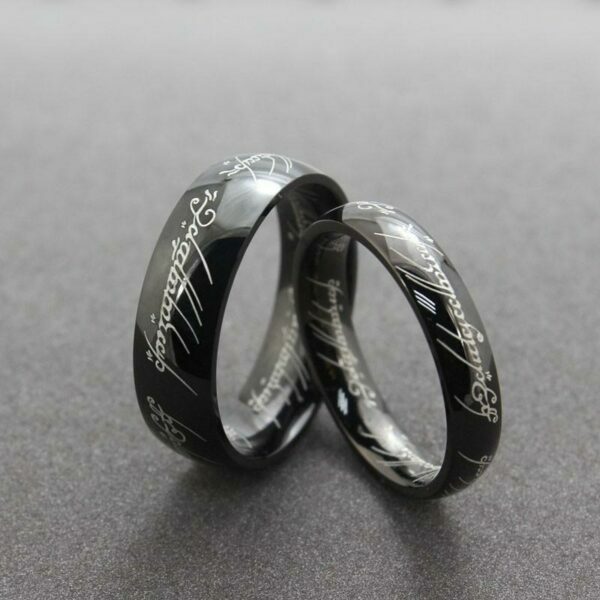 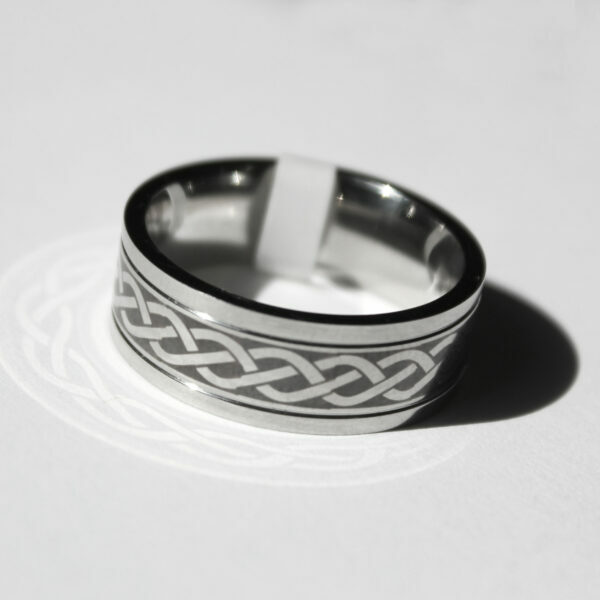 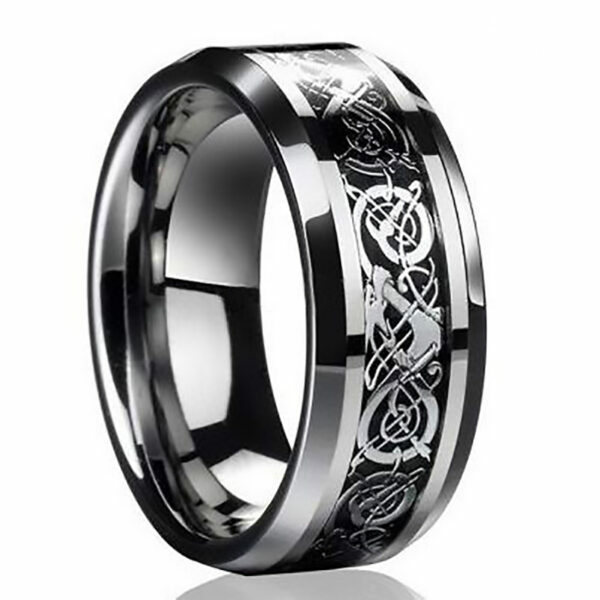 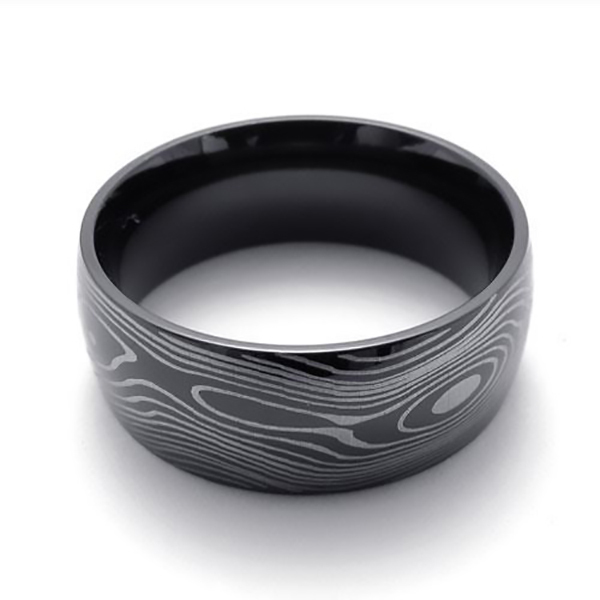 Damascus Pattern 316L Stainless Steel Ring. 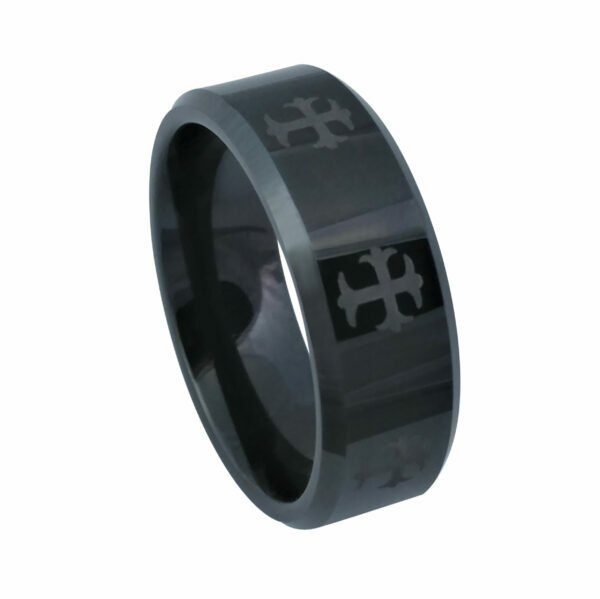 Low maintenance, this steel is highly resistant to humidity and rust. 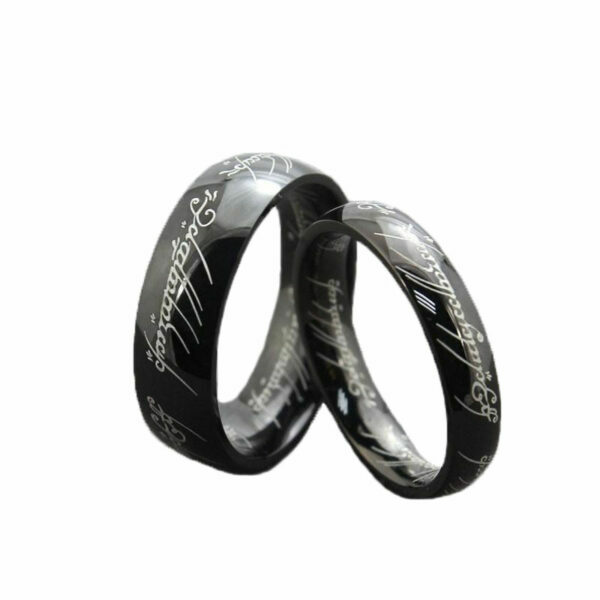 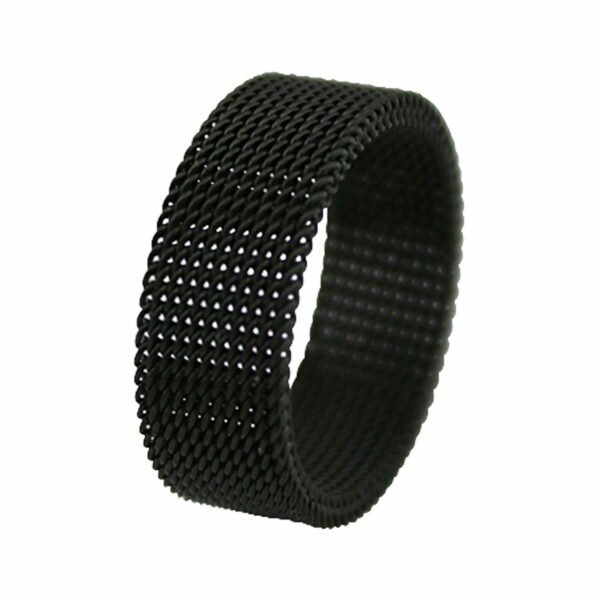 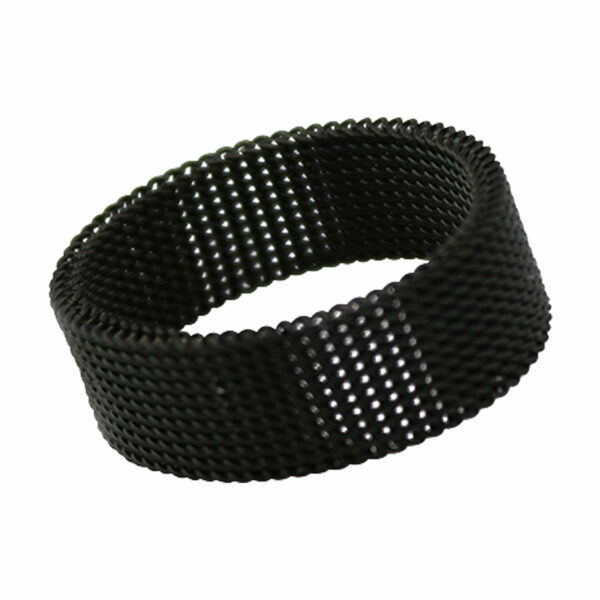 Its great durability prevents it from oxidation and discoloration, making it long-lasting and enduring even heavy wear. 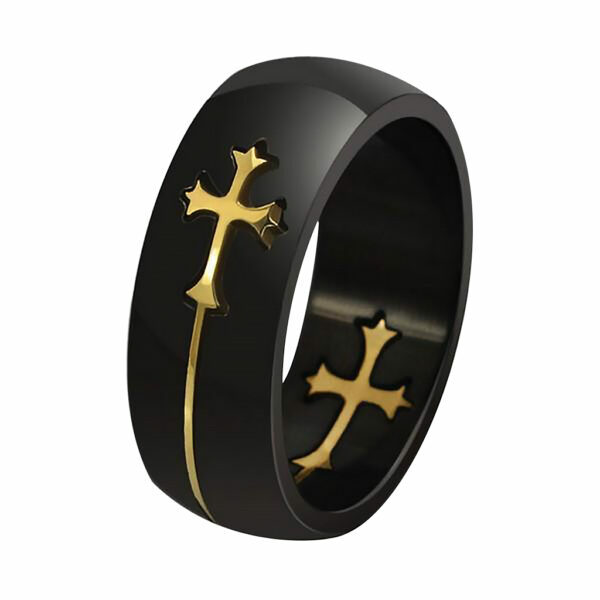 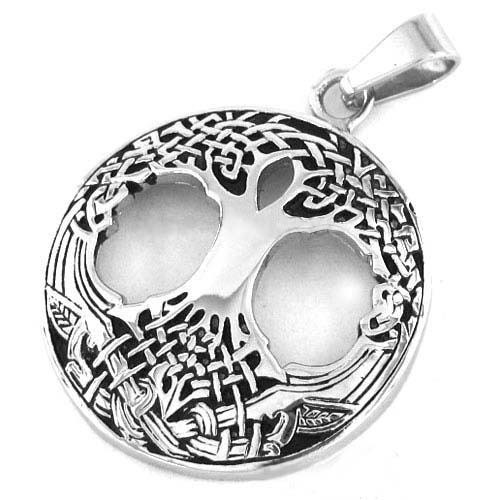 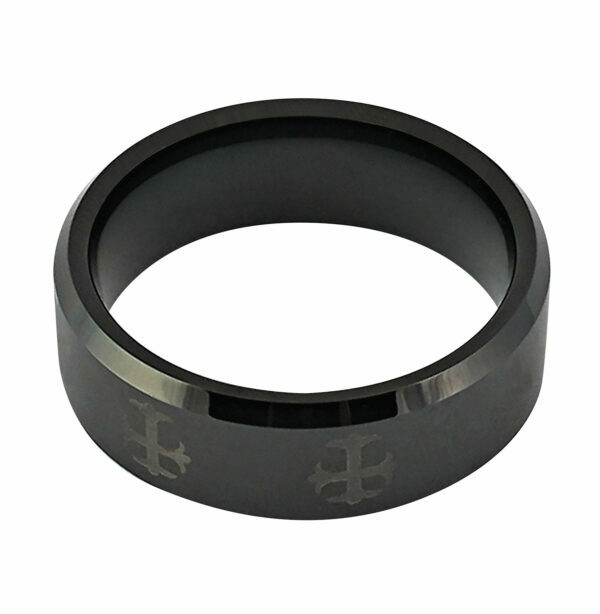 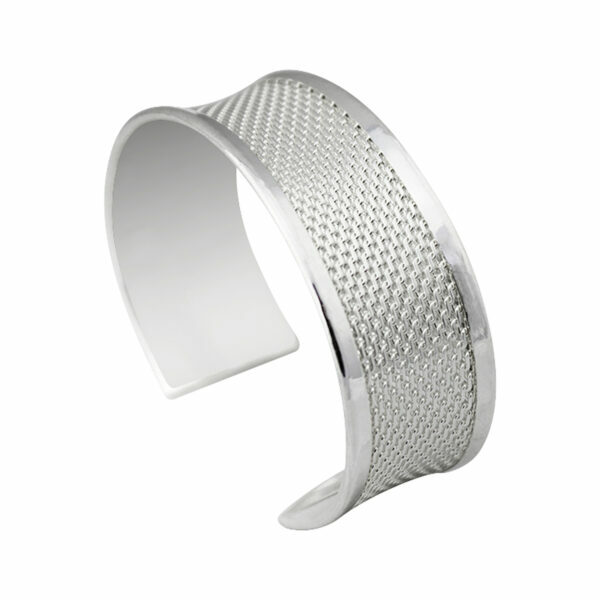 It is an excellent alternative for wearers with allergies and sensitivity to base metals such as copper or brass.